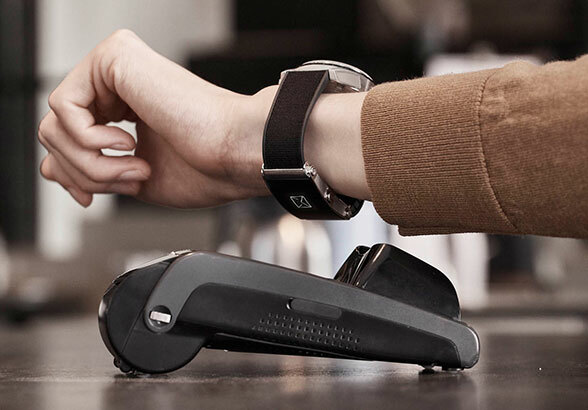 PARTNER NEWS: NXP’s new mWallet 2GO platform offers OEMs a pre-certified and validated turnkey payments solution and is being used by luxury brand Montblanc to add Visa and Mastercard payments capabilities to its watches, via its new Twin smart strap. “This first true end-to-end solution integrates NXP’s advanced technologies including near field communications (NFC), secure element (SE), NFC middleware, SE JavaCard operating system, SE applets, SEMS (secure element management service), wallet application and software developer kit (SDK), wallet server and MDES (Mastercard Digital Enablement Service) and VTS (Visa Token Service) tokenization platforms,” NXP says. AMSTERDAM, The Netherlands, 7 June 2018 — NXP Semiconductors NV (NASDAQ:NXPI) in collaboration with Mastercard (NYSE:MA), and Visa today announced the launch of its new mWallet 2GO, a white label wallet service developed on the NXP Secure Service 2GO Platform. With the new service, NXP is first in the industry to offer the full scope of mobile wallet development in one solution including leading hardware technology, surrounding software and ecosystem integration. The payment solution is designed to ease development, reduce cost, and accelerate time-to-market for OEMs (original equipment manufacturers) to add mobile payment capability to any wearable, mobile or IoT (Internet-of-Things) device.